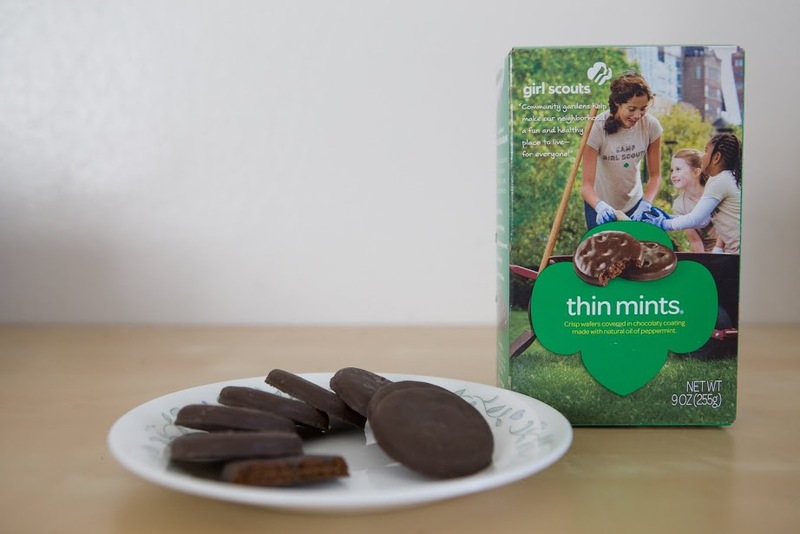 New cookie flavors (including a gluten free option), candle scents and online ordering: it’s officially Girl Scout cookie season. Here at Spoon U we love our fair share of pumpkin-spice-everything season and red-holiday-cup season, but Girl Scout cookies trump pretty much everything in our eyes. Let’s get down to the nitty-gritty. You’re a college student, so you eat Girl Scout cookies by the sleeve rather than by the serving size (which is typically 2-3, depending on the cookie). You probably enjoy your fair share of beverages, too. But did you ever think about joining the two in holy flavor matrimony? Here’s how to pair your Girl Scout cookies with wine. Snack responsibly, folks. 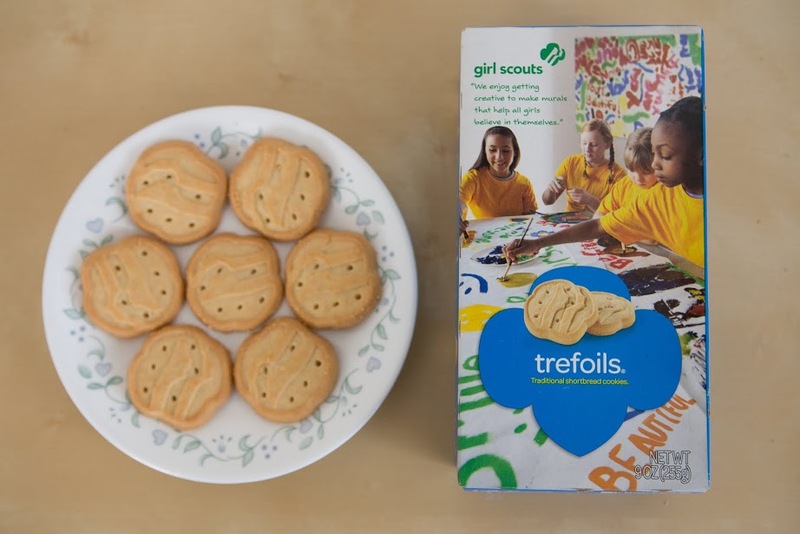 The Trefoil is a dainty shortbread cookie with an intense crumbly texture and buttery taste. Pair this cookie with a sparkling wine or Champagne. The bubbles will cut through the buttery flavor of the cookie while the apple and brioche notes in the wine will enhance the shortbread taste. Try a Port wine with this sweet and salty cookie. The caramel flavors in the wine will bring out the richness of the peanut butter/milk chocolate medley (if you make your own, you can add dark chocolate and sea salt as well). 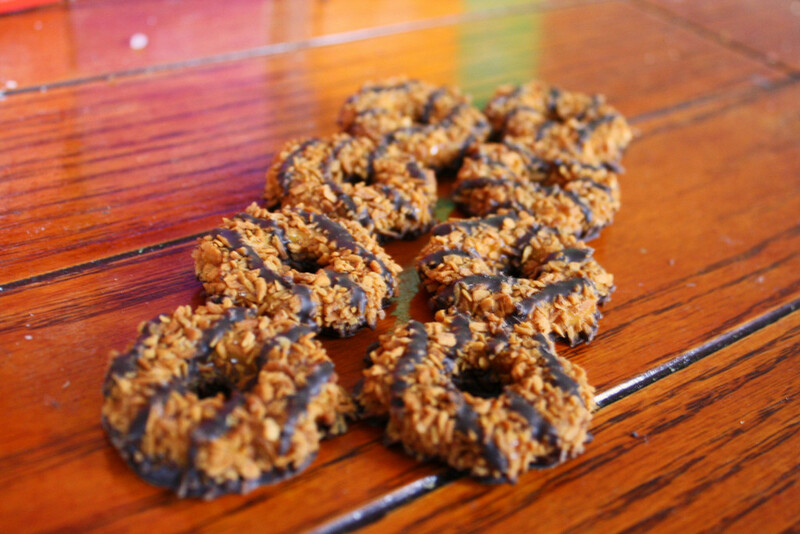 Thin Mints have a bold, chocolatey flavor which requires a strong wine that won’t overpower the cookie. A red Shiraz has minty notes that will stand up to the cookies without taking over. 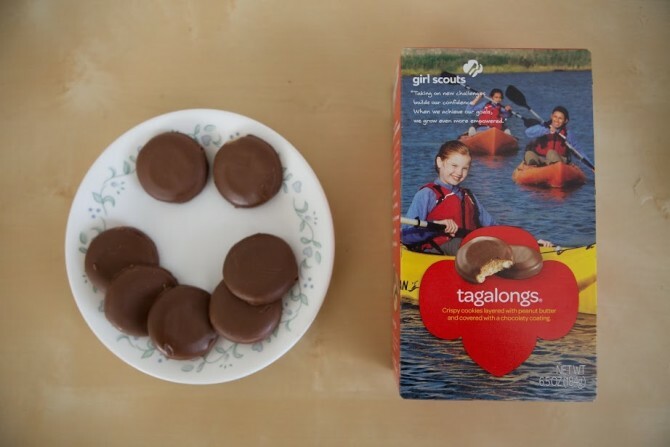 Bonus: freeze your Thin Mints. You’ll thank me later. Or, if you’re feeling fancy, try making your own. Chocolate + caramel + coconut = heaven. Dessert wines are a great way to enjoy these cookies without giving yourself cavities. The acidity of the wine will cut through the richness of the coconut and sweetness of the caramel without dulling either flavor.